Announcing 435,000 Sq Ft Business Park in Union County – The Moser Group Inc.
Indian Trail, NC Sun Valley Business Park, a proposed Class A office/warehouse development by The Moser Group Inc. Is now available in Union County and will offer +/- 435,000 sq ft on a 47 acre. Located at the corner of Radiator Road and Old Monroe Road, the Sun Valley Business Park is in close proximity to the entertainment district of Sun Valley Commons Shopping Center (also developed by The Moser Group Inc.), the Charlotte-Monroe Executive Airport and I-485. 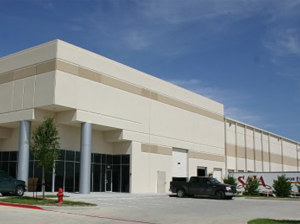 The Sun Valley Business Park offers both build-to-suit opportunities and sites for sale. The Park has already secured its first tenant, a three-story 90,000 sq ft, climate-controlled self-storage facility to be developed on 5.5 acres. “We are very supportive of this project by The Moser Group and the potential opportunities for job creation and capital investment within our community. Being only a few miles from Interstate 485 and the new Monroe Expressway, this new business park will add to Union County’s attractiveness as we compete for projects seeking a location in the Carolinas,” said Chris Platé, Executive Director of Monroe-Union County Economic Development. 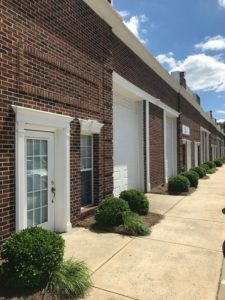 For leasing or sales information, please contact Dennis W. Moser, MAI at 704.882.1700x 211 or Mackenzie Moser at 704.882.1700x 224. The Moser Group, Inc., is a brokerage and development firm specializing in commercial real estate. Established in 1994 in Western Union County, one of the fastest growing markets in North Carolina and the country, our goal is to make Union County a better place to live, work and play. The company is respected throughout the region for its commitment to leadership, quality developments, integrity, caring spirit, and giving back to the community. New Tenants at Sun Valley Commons What is an Entrepreneur Incubator?